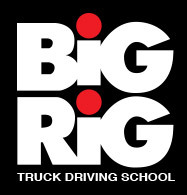 Big Rig enjoys a high degree of job placement success and offers placement assistance for its students in a variety of ways. The school provides training in the job selection, application and interviewing process, but it is ultimately up to the student to successfully complete that process. We teach you the skills to get that done. 1. Make available written materials from many trucking companies. 2. Maintain a current list of local, regional and long haul companies willing to hire students. 3. Promptly process requests for student references and training records. 4. Maintain a master directory of all major trucking companies and private fleets. 5. Schedule recruiters to give presentations at the school. 6. Hold Job Fairs where trucking companies come to the school to recruit the students. 7. Provide numerous website locations that specialize in trucking jobs. The school will continue to help you in job selection and placement even after your first job. Many students are anxious to enter into full employment but later desire a change. We invite you to come back to us for help in finding a job that better suits your needs.